What is the first components you pay your attention to when aiming to build a gaming PC. Of course, such things as a GPU, graphics card, and a motherboard matter greatly. Still, with the advent of demanding AAA games, more and more gamers have started to attach more importance to monitors, since gaming is not always about action, but feasting one’s eyes, as well. 1080p Vs 1440p… ​1440p Vs 4K​… Which resolution would be the best? Which one should I pick? If you’re facing a similar dilemma, it’s high time you learned more about the most popular resolutions gamers opt for these days. Nevertheless, unlike its 720p counterpart, Full HD still remains quite popular with a good number of gamers that cannot afford high-end computers. The truth is that even the cheapest processor available at this moment can master this resolution and deliver more or less decent gaming experience to you. Of course, we don’t talking high graphics quality here. 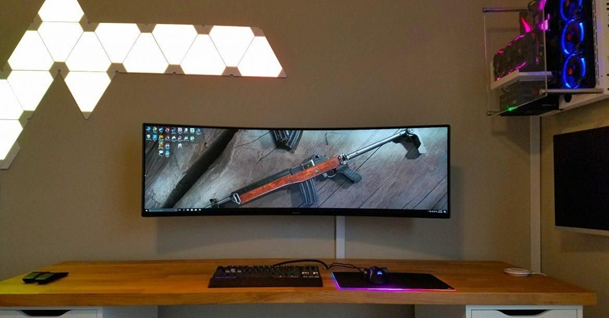 It’s not a secret that frugal gamers opting for 1080 monitors are always ready to give up visuals to get optimal performance in return. QHD, also known as 1440p, is another popular resolution at which gamers prefer running their games in 2019. Though 1440p is considered the interim standard between the famous and more widely used 1080p and 4K, it is undoubtedly worth exploring. Being four times as large as good old 720p, 1440p offers a more distinct and clearer picture. So, if you shift from your 1080p monitor to a 1440p one, you won’t be able but notice a dramatic difference. ​QHP also can be a good solution for small monitors where it’s hard to notice picture quality because of the increased definition it gives to the small images. Each seasoned gamer knows how important image quality is when it comes to high level gaming. It’s almost as crucial as frame rates. That’s why 1440p is commonly used over 1080p in gaming. Of course, not all gamers may afford using this resolution. Unfortunately, obsolete hardware installed on low-end machines is unlikely to handle 1440p. Still, if you’re planning on upgrading your comp, but cannot allocate much for that purpose, you may opt for more pocket-friendly processors, such as ​AMD’s RX 580 / 590 or Nvidia’s GTX 1060 / 1660 Ti. They will definitely cope with 1440p. As you see, 1440p is a good way of balancing visuals and performance. Of course, we couldn’t but mention 4K resolution in our article. 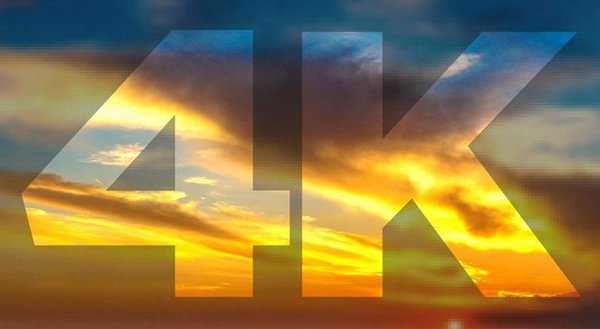 Presently, 4K has become the epitome, the new standard many gamers gravitate to. The 4K resolution owes its name to​ the horizontal pixel count which is about 4,000 in corresponding monitors. With more than twice that of 1080p, 4K offers truly superb clarity and sharpness of your pictures and videos​. ​The benefits of this resolution are indisputable, still not all modern computers are capable of running games at such a superb resolution. Its massive pixel count put a strain on your hardware, not to mention your pocket.​ ​Only such mammoths as ​Nvidia’s new RTX models will be able to handle 4K. However, you also may try running demanding games using RX Vega 56, GTX 1080 Ti, or GTX 1070 Ti. Still, we cannot promise you’re your gaming will as smooth as it would be with previously mentioned GPUs. Overall, UHD is definitely the way to go if you prioritize visuals over performance and are ready to fork out for a high-end monitor.